These lustrous freshwater pearl bracelets from Honora make the perfect addition to stacking on bracelets. 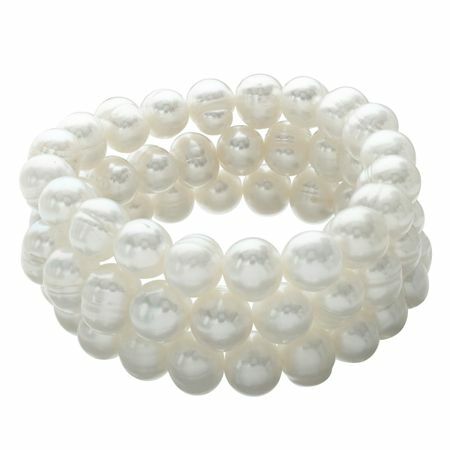 The set includes three 10-11MM freshwater ringed pearl bracelets that stretch to fit. Piece measures an adjustable 8 inches in circumference.